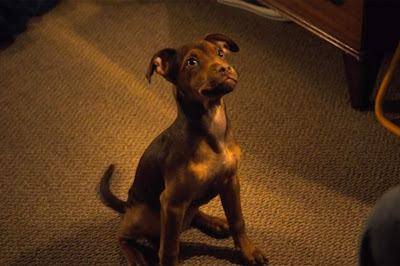 Movie: "A Dog's Way Home"
A dog must find her way home when she is sent to live with relatives in New Mexico after she is impounded by Denver animal control for being part Pit Bull. If there's one thing we took away from "A Dog's Way Home," it's that Denver has a really ridiculously stupid anti-Pit Bull law that should probably be done away with immediately. 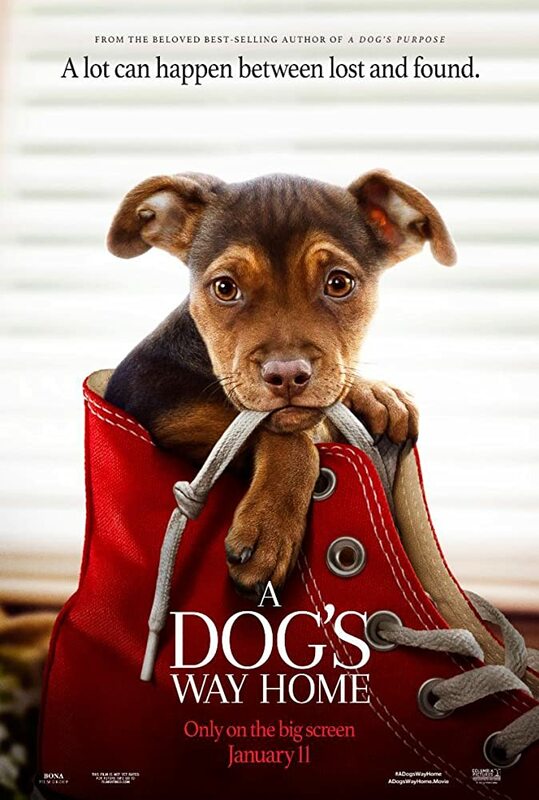 "A Dog's Way Home" is directed by Charles Martin Smith, who is known for directing such animal-centric family films such as "Air Bud," "Dolphin Tale," and "Dolphin Tale 2." The screenplay is written by Cathryn Michon and W. Bruce Cameron, who previously worked together on the screenplay for "A Dog's Purpose" which, along with this film, is based on Smith's books. This movie tells the story of an orphaned dog named Bella (Bryce Dallas Howard), who is found and raised by a young man named Lucas (Jonah Hauer-King). When Lucas gets into a conflict with a property owner over the safety of the cats living in a broken down house on the lot he owns, the owner uses his clout to exploit a law on Denver's books that makes owning a Pit Bull illegal (aka "dog racism"). After being impounded for a night, Lucas is forced to ship Bella off to live with his girlfriend's (Alexandra Shipp) parents in New Mexico. Though Bella is comfortable in her new home, she misses Lucas so much that she sets off on a 400-mile journey to reconnect with him. 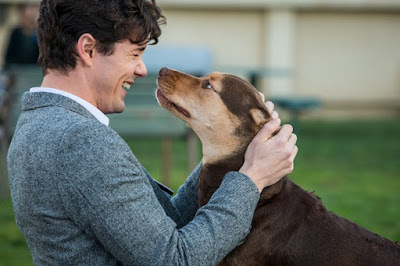 Watching "A Dog's Way Home" is like eating a big spoonful of saccharine in that it is cloyingly sweet, but still has a slightly bitter aftertaste. 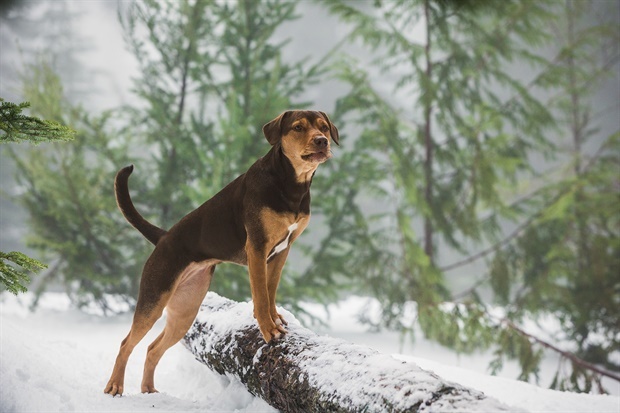 It is reminiscent of much better movies like "Homeward Bound: The Incredible Journey" and "Milo and Otis" as it includes a dog journeying home with a cutesie voiceover and also incorporates an unusual dog/cat friend pairing. You know exactly what you're going to get going into this movie, especially if you saw its trailer because the marketing reveals almost every major plot point, including the ending. There are a couple of aspects that are insufferably cheesy and had us rolling our eyes from the second the movie began. There are also some downright awful CGI animals, including flying birds, menacing coyotes, a terribly done mountain lion, and on occasion, Bella herself as she frolics in the snow and on the ice with said puma pal. These moments of terrible animation are painfully distracting and ripped us right out of the movie. The acting isn't all that great, either. That being said, Bella and the other hounds she encounters on her journey are adorable. As dog owners and lovers ourselves, we can't help but relate to Bella and her mission to return home, which did manage to move us both on occasion. Still, this movie is mostly intended for families with children because of its cutesy nature. Kids will be captivated by it and won't be bothered by the bad CGI and terrible dialogue, and adults will feel content that they did right by their kids by taking them to such a wholesome, sweet movie...right up until the part where humans start getting killed...no, seriously, they killed the dog over and over again in "A Dog's Purpose," do you think the writers won't kill people?? "A Dog's Way Home" will provide audiences with a not-completely-atrocious viewing experience. Heck, some people may even love this flick because of how much they love dogs. It will also make people aware of Denver's outrageous anti-Pit Bull law. We appreciate the effort to try and erase some of the stigma surrounding this breed, which has gotten an unfairly negative reputation.